Tealware™ is a high density, modular I/O system, suitable for applications requiring as few as 16 digital and/or 4 analog points up through thousands of I/O points. The same I/O modules, racks, adapters, and other equipment can be used regardless of application size or physical configuration. 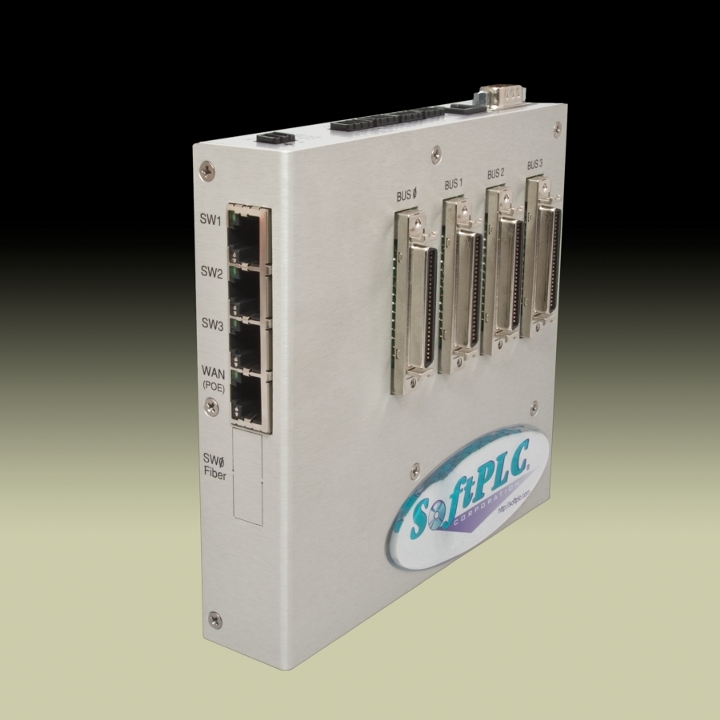 Tealware I/O can be used on Ethernet with any SoftPLC CPU, or with any other system that can drive ModbusTCP I/O. With a Smart SoftPLC, high speed local I/O interfaces are available that support up to thousands of points, as well as remote Ethernet I/O for even more flexibility on I/O configurations. A wide variety of configuration options are possible including high speed local I/O and remote/distributed Ethernet I/O configurations. 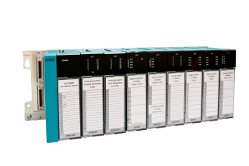 A wide range of Tealware I/O modules is available - digital, analog, and special purpose modules. Combined with other components (eg: bases, adapters, power supplies), Tealware offers an expandable I/O system for both local and distributed control systems, big and small. Most modules include as standard the wiring terminal block. Some high density modules require a cable and terminal block to be ordered separately, as indicated in the tables below. The tables below list the components which are used with Tealware I/O modules to create complete systems. Up to (3) modules can be mounted directly to a Smart SoftPLC or Smart Adapter equipped with a Backplane-3 Interface. 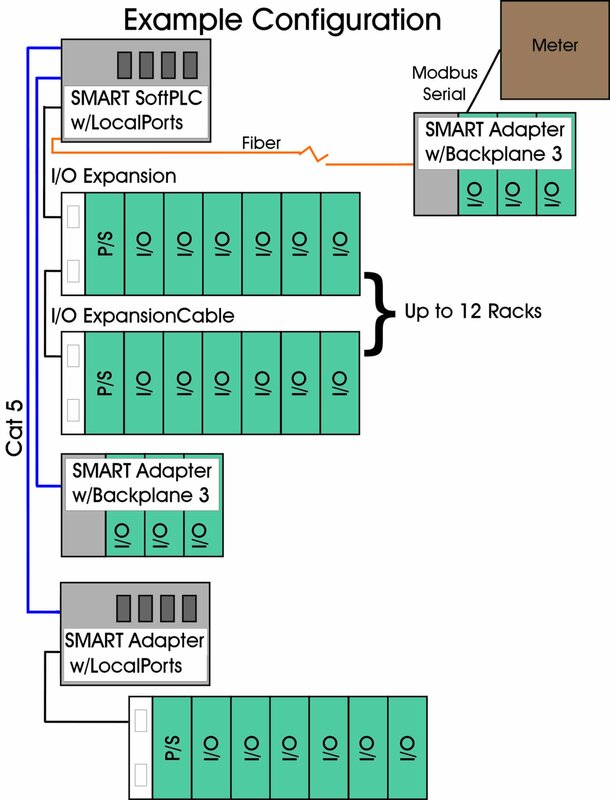 I/O Bases can hold (6) or (8) modules plus a Tealware Power Supply Module, and connect via an Expansion I/O Cable (Cat No EXCBLxx) to a Smart SoftPLC or Smart Adapter equipped with a LocalPorts Interface (Cat No SMx11-L). 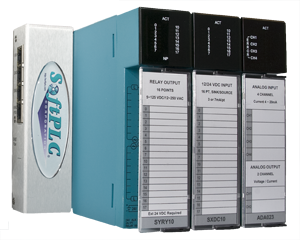 A Smart SoftPLC provides a high speed local interface to Tealware I/O. Up to 12 I/O Bases (96 I/O modules) are supported for a maximum of 3072 local I/O points, up to 30 feet from the Smart SoftPLC. You can scan thousands of points in under 1 msec! Smart Adapters provide a Tealware I/O Interface to remote I/O drops over Ethernet, connected to any SoftPLC controller or other controller that supports ModbusTCP. Where more I/O is required than a local system supports, or the I/O needs to be distributed over a distance, or where the control system CPU is not a Smart SoftPLC (eg: a SoftPLC Hardbook or non-SoftPLC controller), then Tealware modules can be used with Smart Adapters on ModbusTCP Ethernet in a wide variety of configurations/media, with up to 127 remote I/O drops of up to 24 modules (up to 768 I/O points) per drop - tens of thousands of I/O in a single system. 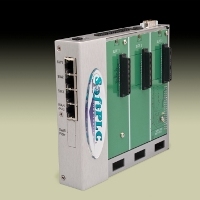 Backplane3 Interface - Any three (3) Tealware modules can mount directly onto a Smart SoftPLC or Smart Adapter equipped with a Backplane3 Interface. LocalPorts Interface - If more than (3) modules are needed at a location, a Smart SoftPLC or Smart Adapter equipped with a LocalPorts Interface is used. The LocalPorts Interface has (4) I/O Base ports. A Smart SoftPLC can utilize all (4) ports, a Smart Adapter can utilize (1) of the ports. Up to (3) I/O Bases can be connected to each port. I/O Expansion Cables, available in 2', 4', 6' and 10' lengths, connect from the I/O Base Port to an I/O Base (as well as from I/O Base to I/O Base). Smart family of products features and functions, and generic hardware specifications. Smart Tealware Adapter information, used for remote ModbusTCP Ethernet I/O drops. Overview features/specifications of the Tealware I/O family of products. Configurations and required products for the Tealware I/O system. Tealware I/O Hardware manual, includes installation, module specifications, and analog module programming.